The server said "sure thing". Now go click around my website more ya dummy. - Ok so we've decided we definitely want to open a store and sell mattresses but that can't be all we sell. We'll never make it through this cut throat industry. We need to offer something else that the other mattress stores don't do. Any suggestions. "We could sell bedding in the same store as the mattresses. You don't see that often"
Come on TED! Serious suggestions only. Any more ideas? Now THAT is next level thinking, Frank!... No one else is doing that. Brilliant. We're gonna clean up! ... Except when it comes to filling out vanity license plate paperwork of course... Then I have all the time in the world. 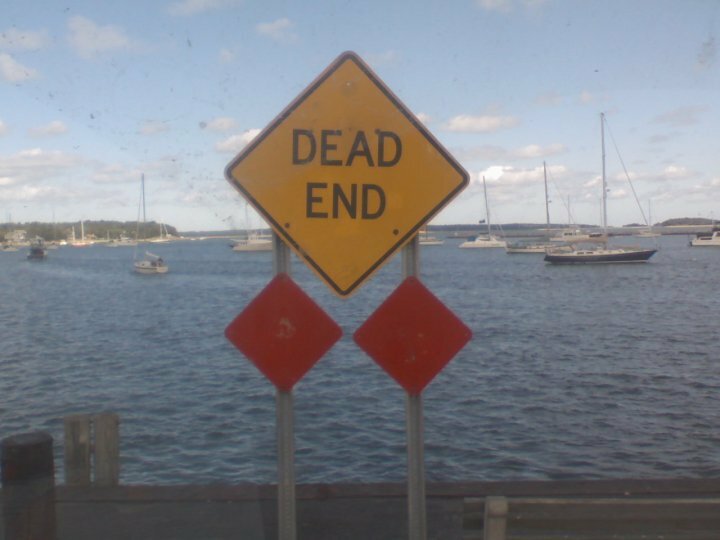 If you find this sign helpful I would prefer you just kept driving through it. Do you even want the cat back? I did see a cat around but it was so outgoing it couldn't have possibly been this missing cat. If only I had A PICTURE or the slightest physical description to go by instead of it's behavioral attributes. Listen if you see a cat that prefers cold weather to warm it's mine.